There is nothing perma nent in this world. Change brings about the best in each and every one of us. Without change, there is no growth and development, and stagnation would envelop our surroundings. Change invigorates us the moment we wake up from the bed and motivates us to challenge the day more efficiently than yesterday. Just like at work, we always try to find realistic solutions to increase our productivity meter to 100% percent. However, there comes a time when our fuel tanks are emptied by depression and our motivation drops to zero. If this were the case, then it is probably best for employees who find their jobs unchallenging or unfulfilling to change a career path. The problem with starting a new career is that applicants find it baffling to write unrelated experience on the resume. For example, an accountant wanted to shift gears and write books for a living. The difference between calculating employee salary and authoring a book is rather huge, and the accountant may find it hard to find a job in the publishing industry. Changing careers is, indeed, hard, but with the right approach and strategy, you could make heads roll and empower your career with positive direction. Illustrate how your experience will contribute to the company’s growth – For example, you have been working in the call center industry for five years now and want to apply as a junior advertising specialist. How can you possibly apply in a position that is a far cry from your previous work? 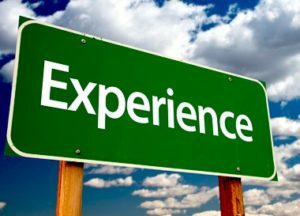 Show how your past work experience will benefit the company. A call center agent knows how to communicate with clients indirectly, and this can help the advertising firm entice new clients in foreign shores. Be straightforward. No need to sensationalize – Never opt for lies when changing careers. Lying on the resume can ultimately sabotage a career. Write your unrelated experience as it is. Always remember that working in a different industry is a challenging stretch and it will take a while before you successfully take on a new field of expertise. Nick Woodson has more than 12 years of experience teaching Corporate Communications and Personality Development.